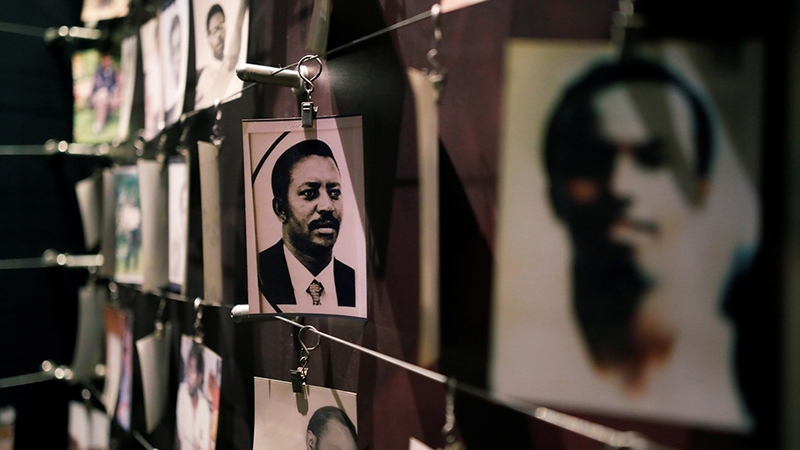 Kigali, Rwanda – Rwanda has begun 100 days of mourning to commemorate the 25th anniversary of a genocide that tore the small country apart and left close to a million people dead. 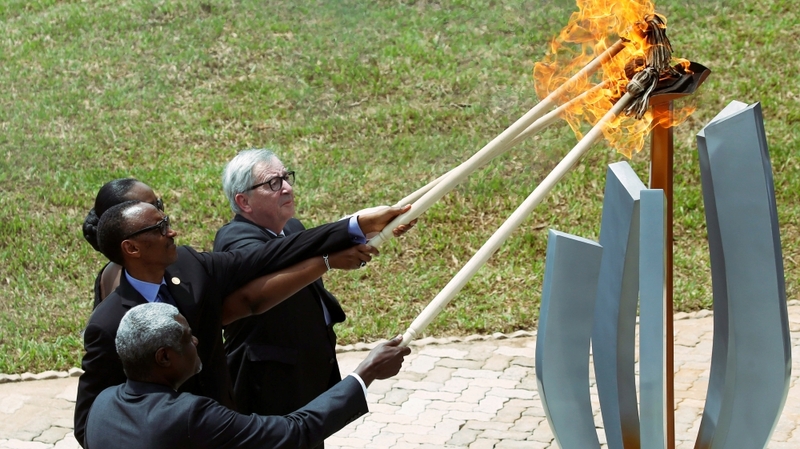 President Paul Kagame and several other heads of state on Sunday laid wreaths and attended the lighting of the flame of remembrance at the Kigali Genocide Memorial to signal the start of the mourning period, which coincides with the duration of the brutal campaign of killings in 1994. The memorial in the capital houses the remains of more than a quarter of a million people who lost their lives in the slaughter. “Fear and anger have been replaced by the energy and purpose that drives us forward – young and old,” Kagame said during the commemoration ceremony in Kigali, adding that his country will never repeat past mistakes that led to the genocide. “Nothing has the power to turn Rwandans against each other, ever again. This history will not repeat. That is our firm commitment,” he added. On April 6, 1994, a plane carrying then-Rwandan President Juvenal Habyarimana was shot down as it prepared to land in Kigali. Everyone on board, including Cyprien Ntaryamira, the president of neighbouring Burundi, were killed. The two leaders were returning from Tanzania where they had signed a peace agreement with rebels from the Tutsi minority group. The downing of the plane triggered about 100 days of slaughter. More than 800,000 people, mainly Tutsi, were killed by government-allied Hutu forces majority who accused them of killing Habyarimana, a Hutu. Thousands of moderate Hutus were also killed for refusing to take part in the genocide. The Tutsi-led Rwandan Patriotic Front (RPF) group, headed at the time by Kagame, accused Hutu hardliners of shooting down the plane to provide an excuse for carrying out the premedidated slaughter. Several investigations have been unable to determine who fired the rocket that brought down the jet. Kagame’s speech on Sunday marked the start of a week of events in the small east-central African country to remember the victims – an estimated one in 10 people were killed in the genocide. Rwandan officials and about 3,000 people joined in a “walk to remember” from the houses of parliament to the city’s national stadium, Amahoro, where a night vigil was held. Earlier in the day, Ethiopian Prime Minister Abiy Ahmed, who as an 18-year-old served as part of an Ethiopian peacekeeping mission in Rwanda in 1995, said the country’s response and development was an example to the rest of the world. “The mistakes of yesterday has propelled your country to greater height,” Abiy said. “Acknowledging the dark past of history but choosing to move into the light is a courageous act of perseverance,” he added. For his part, Jean-Claude Juncker, the European Commission’s president, said at the remembrance ceremony that it ” is our generation’s duty to never forget what humankind is capable of. “It is only by remembering that we can build a brighter future together,” he added.